Junior Award – casting lesson and guided carp fishing trip. 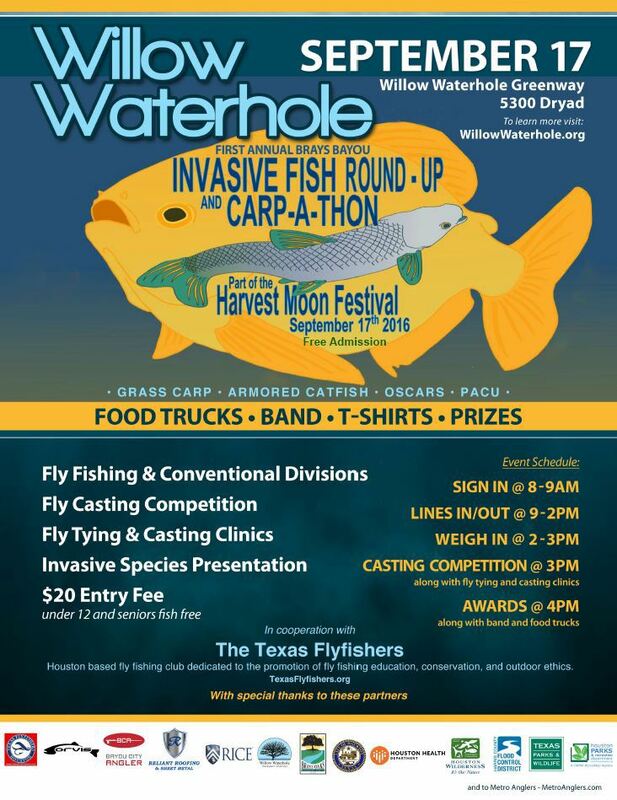 Details and registration information are found on the Carp-a-thon page. Where do we sign up? Here? Also what constitutes senior status? 65? I’ll be there helping in someway for sure. I’m going to check out their page like it says above. Hope to see a bunch of you there. If you go to the details page, there’s all the pre-registration materials and contact information for Mike Frankoff. Had a blast and it was great meeting everyone today! I look forward to sharing more stories with everyone. I’d like to take a moment to thank everyone who organized this event again. I had no clue what was out there to be caught in the cement bayous! Glad you had a good time. The event was a huge success with over 100 participants. We were able to showcase The Willow Watwehole as an urban fishery and inform folks about the issue of invasive species. Hope to see you at future events. Wow, I’m impressed! I hope the promotion club promotion of the event was a help to achieve that success. The club promotion was instrumental in generating interest. Thanks for your help on this event. Let’s go fishing soon. Come to New Mexico in October and I’ll show you how to catch real trout.